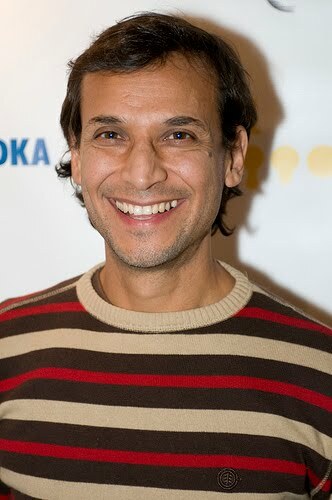 Talk about lousy timing: No sooner had Jesse Borrego joined the regular cast of "ER" as a gay orderly named Javier, when the show was shut down by the writers' strike. But Hollywood's loss is Denver's gain. Borrego's forced hiatus has freed him to return to Denver for a second special engagement starring in Roy Conboy's play "Drive My Coche" at El Centro Su Teatro. It's about a Chicano man reflecting on his summer before shipping out to Vietnam. Borrego made a splash on the third season of "24" as Gael Ortega, the CTU agent who tried to stop a viral device from detonating in a hotel's ventilation system, but it exploded in his face. Borrego also appeared in the films "Con-Air," "Blood In, Blood Out" and "Mi Vida Loca," and the TV series "Fame." Q: You're not supposed to be available for plays right now. What are your thoughts on joining "ER," only to be stopped by the strike? A: First, I'm happy to be joining such a talented cast. I've been through several strikes in my career — a lot of them actors' strikes. In all of them, I've seen great solidarity between the unions, and this one is no different. I think strikes are a natural part of the growth of this industry. Q: Are you taking a side? A: I side with the writers, definitely. These are very important issues (regarding residuals) from cable TV and home video. Q: I'm not sure "ER" has ever had a gay man in a recurring role before. What are your thoughts on being the first? A: I think it's important to show diversity in all aspects of the entertainment industry, and I'm proud to represent an underrepresented minority with this role. I hope people will be able to look at it with an open mind. Q: So why are you drawn to "Drive My Coche"? A: The story is relevant to what's happening right now in Iraq and at home, in terms of divided opinions. I think as people of color, we rarely admit to the impact of trauma on our culture, when the lives of the soldiers and their entire circle of loved ones is emotionally disrupted. That's what this play is really about. Q: You recently spoke here on behalf of the Latina Safehouse Initiative, and at Su Teatro's 35th birthday celebration. Why is it so important for you to be supporting Su Teatro's $5 million campaign to build a new performing-arts facility? A: Organizations like Su Teatro are alive and relevant and so important. It was at places like Su Teatro and the Guadalupe Cultural Center in San Antonio that I really built my chops. Q: You can't get away without a question about "Fame." You played Jesse on the TV series 20 years ago. Why is that still resonating with fans? A: People want to see singing and dancing. They want to witness people striving and working toward a dream. And I think, deep down, everybody wants to be a performer.